During the last elections in 2011, voter turnouts in some places were 80%. Much has changed since then. 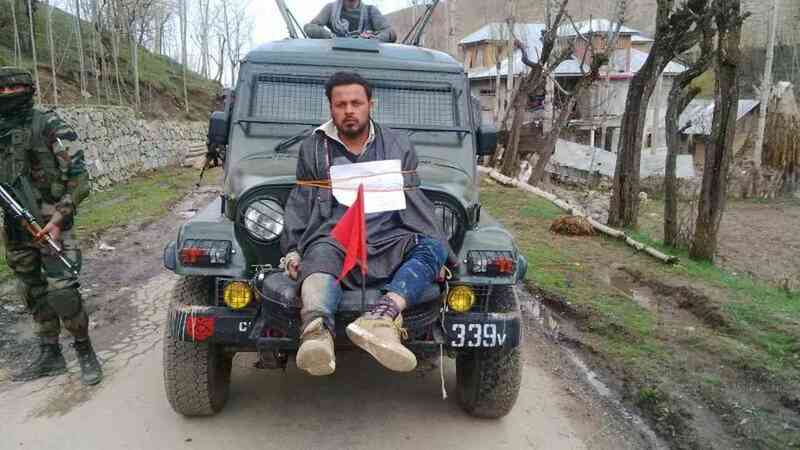 Maqbool, who was a sarpanch in Budgam district, was trying to explain why the 2011 panchayat elections in Jammu and Kashmir had seen turnouts of over 80% in some places – in stark contrast to the 7.13% that voted in the bye-elections to the Srinagar Lok Sabha seat in April 2017. The 2011 elections for village councils returned 4,130 sarpanches and 29,719 panches. Though their term lapsed in 2016, fresh elections could not be held because of turmoil in the state. Municipal polls are now finally slated to be held in October and panchayat elections in phases through November and December. But this time, Maqbool wants to stay away from the elections. He is not alone. Already, the two major Valley-based parties, the National Conference and the People’s Democratic Party, have announced they will not participate in the elections. Both cited the petitions challenging Article 35A that are currently before the Supreme Court. The constitutional provision is considered a keystone of the special status enjoyed by Jammu and Kashmir, which was meant to have greater autonomy than other states in the Indian Union. Hearings on the matter have been postponed till January, as the government had pleaded that it could create trouble before the panchayat elections. It was not a popular argument in the Valley: many Kashmiris believe the government has pushed back the matter in order to avoid taking a position on Article 35A. “Until the government of India and the state government clarify their stand on Article 35A, it is not possible for us to participate in the elections,” said Ali Mohammad Sagar, a member of the National Conference and former panchayat minister of Jammu and Kashmir. The panchayat elections are popularly seen as a ruse, an attempt to divert the attention of the people and to undermine the “ongoing movement” for Azadi, said Mohammad Yousuf Tarigami, a legislator from the Communist Party of India (Marxist). The upcoming polls have drawn responses from other quarters as well. Separatist leaders of the Hurriyat Conference have called for a boycott of the elections, while militant groups have decreed that candidates filing nominations had better “bring their shroud” along. In a video released by the Hizbul Mujahideen, militant commander Riyaz Naikoo warned of acid attacks on panches and sarpanches. Perhaps nowhere else in India do local body elections unravel into existential questions about the state as they do in Jammu and Kashmir. The separation between “masle Kashmir” and “masaile Kashmir” has long disappeared. Most former sarpanches in Kashmir refer to the 2011 polls as the first panchayat elections in 32 years. “It felt like there had not been an election like this before,” said Maqbool. Though elections had been held in 2000-’01, almost no one in the Valley saw them as legitimate. The elections were marked by poor turnouts and violence. In several blocks, no candidates filed nominations. As militant groups issued threats and a fresh spate of violence ensued, other candidates disassociated themselves from the process even after being elected. Yet, panchayati raj institutions struck roots in Jammu and Kashmir quite early. In 1935, when the territory was still ruled by the Dogra dynasty, the king promulgated the Jammu and Kashmir Village Panchayat Regulation No 1. The following year, he set up a department of panchayats and rural development. Panchayati raj institutions also find mention in Sheikh Abdullah’s New Kashmir (1944), a tract that outlines his political vision for the state and borrows heavily from Joseph Stalin’s constitution for the Soviet Union. 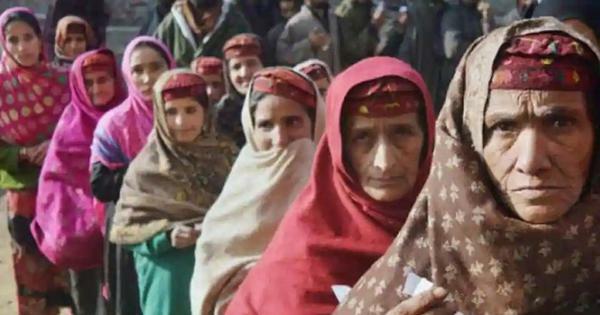 In its current version, Article 17 of the document states that power should be distributed among the three regions of the state, that is, Jammu, Kashmir and Ladakh, and further decentralised at the district, block and panchayat levels. To start with, these local bodies would only have such powers and functions that were “considered manageable and feasible”, but these would later be expanded. After Abdullah was appointed prime minister of Jammu and Kashmir following its accession to the Indian Union, a new act was passed in 1951, re-establishing panchayati raj institutions. Even after Abdullah was dismissed by the Centre and imprisoned in 1953, the National Conference won the first assembly elections in 1957. The next year, the state government passed the Village Panchayat Act. In 1989, the state enacted the Jammu and Kashmir Panchayati Raj Act four years before Parliament passed the 73rd Amendment, formalising panchayati raj institutions in India. But for decades, the legislation remained largely on paper, disrupted by political instability and then conflict. After the debacle of the 2000-’01 polls, it was not until 2011 that the state again voted in representatives to local bodies. These polls also flowed from the electoral promise of the National Conference government under Omar Abdullah, who became chief minister in 2008. True to party tradition, he had spoken of devolving powers to local bodies. “It was the basic unit of democracy, for the empowerment of the poor man,” said Ali Mohammad Sagar, who was panchayat minister in the National Conference government. But even these elections took place soon after the 2010 anti-government protests, which began after the Machil fake encounter case came to light and intensified after a 17-year-old student, Tufail Mattoo, was killed by a tear gas shell in Srinagar. As security forces tried to curb the protests, about 120 civilians were killed that summer. So the government deployed careful doublespeak about the panchayat elections. They were about governance, not politics. They were to be fought on “non-party” lines even though political parties were intrinsic to the process. Anger against the state and all parties that owed allegiance to it was running high after the 2010 protests. “At that time, the tag ‘non-party’ was necessary,” Malik said. The non-party tag gave rise to a game of smoke and mirrors. Ask sarpanches about their party affiliations and most deny having any at first. Later, they cautiously admit that party backing was necessary to contest elections in such a fraught environment. “If you fight as an independent, then everyone becomes an enemy,” said a former sarpanch who had cast his lot with the People’s Democratic Front. Malik had joined the Bharatiya Janata Party in 2014, though he has since grown disillusioned with it, he said. Another sarpanch from Anantnag said no one knew he was with the BJP back in 2011, when he defeated four other candidates from his area. “I beat the Congress, the National Conference, the People’s Democratic Party and an independent,” he said. “They were all affiliated.” Since then, his ties to the BJP seem to have come out in the open. He now depends on his record of public service to protect him from hostility as he continues to live in his village in South Kashmir. “People see me as a social activist, I am affiliated to NGOs, that saves me a little,” he said. Before the 2011 elections, Raina admitted “there was some hope. They presented it in such a way that they will solve local issues”. The elections had tried to occupy neutral ground, a precarious space where bijli, sadak, pani [electricity, roads, water] could be spoken about. But it was the Indian government which staked claim to it as a political victory in the Kashmir dispute, said Raina. Soon after the elections, then Congress president Sonia Gandhi described the high turnouts a “befitting reply” to Pakistan. Other Congress leaders at the Centre also echoed these sentiments. India won a panchayat election and told the international community it was a victory over Pakistan, Raina recalled bitterly. For many in the newly elected panchayats, these comments proved fatal. “That was unfortunate,” said Malik. “It made us targets and resulted in the killing of panches and sarpanches.” Between 2011 and 2015, at least 10 sarpanches were killed in Kashmir. More would be killed in subsequent years. As the killings by militant groups started, so did a wave of resignations from the panchayats. Over the next few years, panchayat members would come to be identified with the Indian state, becoming unwilling intermediaries in the battle between security forces and militants. Malik is bitter about being drawn into the dispute. Not responding to these invitations was not an option since their work meant they had to deal with local police officers and legislators. Often, they had to intercede on behalf of people detained by the police or the army which took the elected officials into cantonments and police stations. 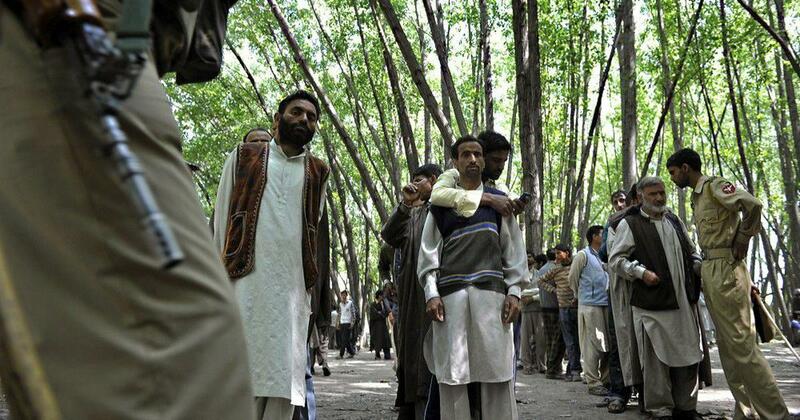 Elections in Kashmir have changed dramatically since 2011. The term of the panchayats ended in April 2016 but fresh elections could not be held. 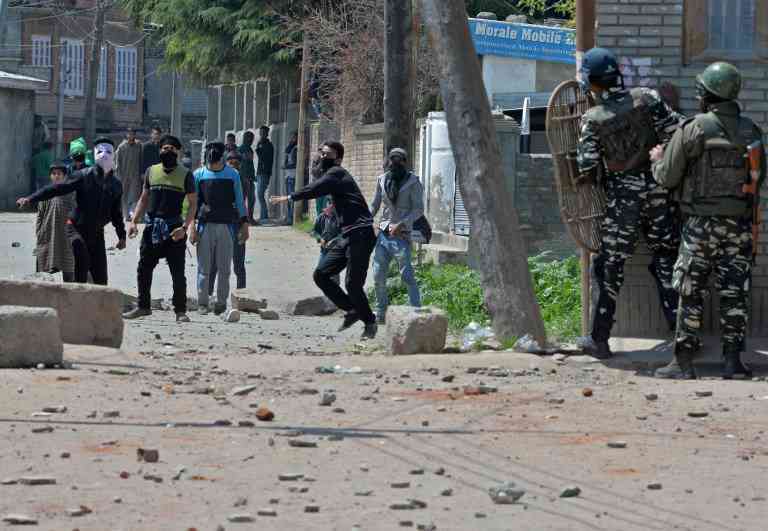 Bye-elections to the Srinagar Lok Sabha seat, held in April 2017, saw a poor turnout, protests and violence in which eight civilians were killed on polling day. Bye-elections to the Anantnag Lok Sabha seat, vacant since 2016, have been postponed indefinitely. The violent 2017 elections reflected a change in the public mood after the mass protests in the summer of 2016. These had broken out after the killing of Hizbul Mujahideen commander Burhan Wani in July 2016. In the months that followed, nearly a hundred civilians had been killed in protests and thousands more injured by shotguns. As the fury on the streets died out, more youth left to join militant ranks and security operations intensified. Operation All Out, launched in 2017, saw security forces fanning out across the countryside, especially the four South Kashmir districts of Shopian, Kulgam, Anantnag and Pulwama. After a brief pause during the Ramzan ceasefire this year, operations resumed. According to figures compiled by the South Asia Terrorism Portal, 213 militants were killed in 2017 and 153 this year until September 9, 2018. While gunfights increased in frequency, so did the large-scale crackdowns and raids that had disappeared from the Valley after the 1990s. Sarpanches, would-be voters as well as politicians across parties now shake their heads when asked about the feasibility of panchayat polls. Most sarpanches say they will not run for elections again. Politicians, both from the National Conference and from the People’s Democratic Party, which was in the state government till recently, regret that “confidence building measures” were not taken to lay the ground for elections. The protests and violence have wrought a transformation in the villages of Kashmir, particularly among their youth. At one point, Raina recalls, rural youth were fodder for political parties, while those in urban areas such as Srinagar, Baramulla and Sopore were hubs for the separatist movement. Now, these very youth were calling for an election boycott. “Earlier, people in rural areas would be shipped to Srinagar for rallies, but now they are taking the lead in this movement,” said Raina. Corrections and clarifications: This piece has been updated keeping in mind the panchayat election dates announced on September 15. An earlier version of the piece said they would be held between November 8 and December 4.